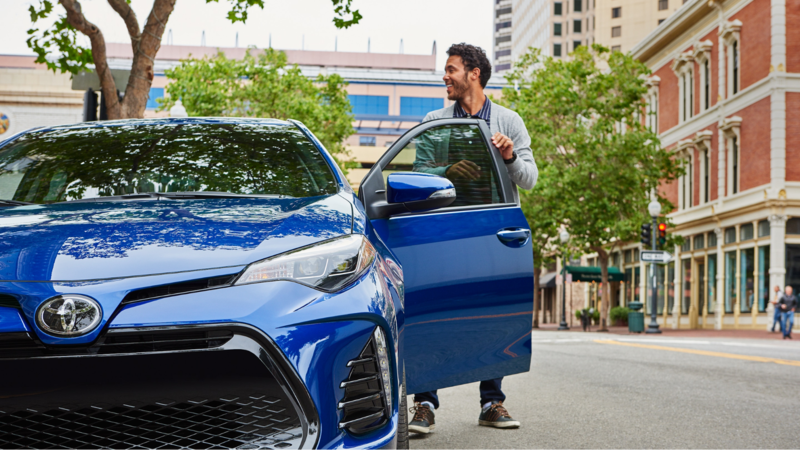 Perfect for those who don’t want to blend in with the crowd, the 2019 Toyota Corolla lets you hit the road in style with distinctive LED Daytime Running Lights, an eye-catching profile, and an optional rear spoiler. A standard 1.8-Liter 4-Cylinder engine delivers 132 horsepower for a perfect combination of response and fuel efficiency. For drivers craving additional thrills, performance-oriented features of the Corolla include an available Sport Gauge Cluster, steering-wheel mounted paddle shifters, and a dedicated Sport driving mode setting. 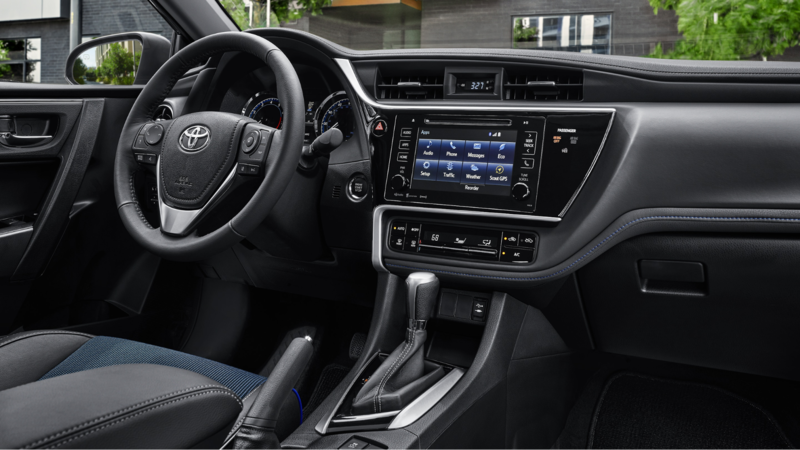 You’ll also have plenty of options to stay connected on your way to the destination thanks to an array of advanced technology features found inside the Corolla. 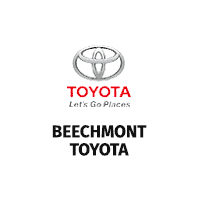 Standard Toyota Safety Sense™ P (TSS-P) adds peace of mind to every drive with cutting-edge driver-assistive technologies to help you stay safe from the unexpected. Corolla SE and XSE models feature an aggressively-styled front fascia which helps announce your arrival. This eye-catching look offers functional aerodynamics which help the Corolla cut through the air and maximize fuel efficiency. Designed for style and performance, standard Bi-LED headlights shine brightly and use less energy. Optional 17-inch alloy wheels add additional style to the sleek profile of the Corolla. An integrated rear spoiler helps show off the athletic stance at the rear. Available in a variety of bold expressive colors, there’s sure to be a Toyota Corolla which reflects your own unique personality. The cabin of the Toyota Corolla is spacious enough to accommodate your friends, your gear, and your next great idea. Designed to enhance the upscale feel of the interior, the dashboard layout features flowing lines, available contrast stitching, and premium materials. 60/40 split folding rear seats give the Corolla plenty of rear cargo space for your next weekend getaway. Available SofTex®-trimmed front sport seats blend luxury with science, offering water and stain-resistance with plenty of comfort and support for long stretches of highway. 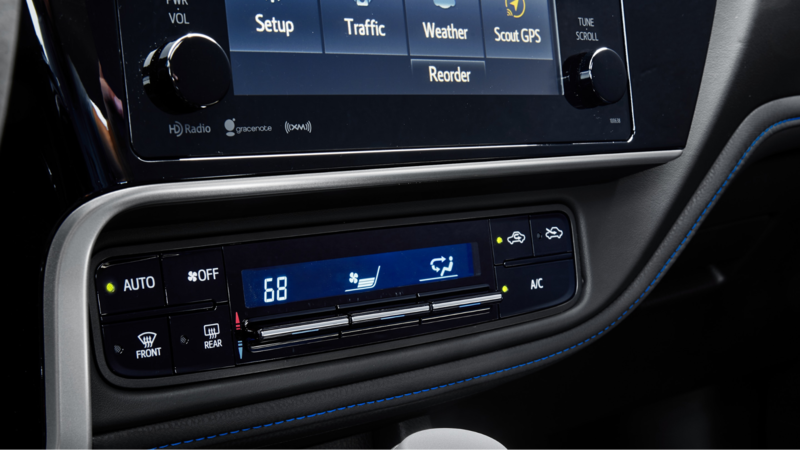 Optional automatic climate control allows you to fine-tune your ideal temperature settings inside the Corolla. Never miss a beat with the available Entune™ Audio Plus system, featuring a 7-inch high-resolution touch screen, MP3/WMA playback capability, auxiliary audio jack, and Siri® Eyes Free. The optional Entune™ App Suite helps you plan for your perfect night out with apps such as OpenTable®, MovieTickets.com, and Pandora®. Steering wheel mounted controls keep your attention focused on the road while advanced voice recognition lets you access the info you need simply by talking. The Toyota Corolla can be equipped with Smart Key System with Push Button Start, meaning you’ll no longer have to waste time searching for your keys. Found on every 2019 Toyota Corolla is standard Toyota Safety Sense™ P (TSS-P). 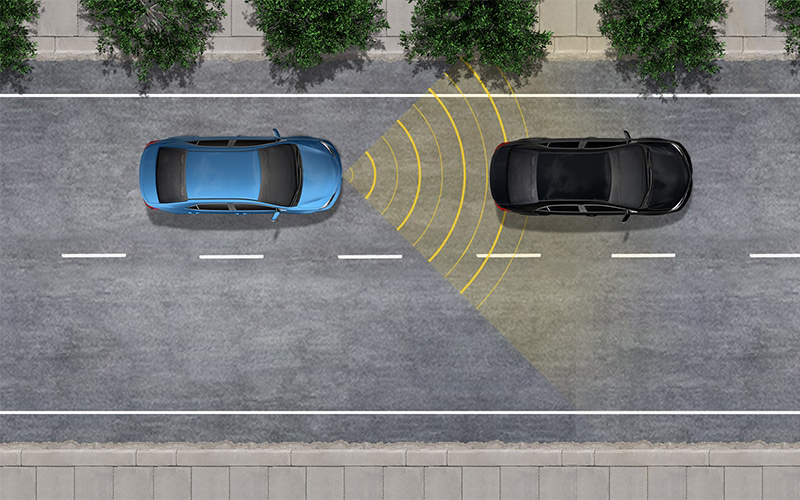 Using an in-vehicle camera and radar to detect a pedestrian or vehicle in front of you, the Pre-Collision System with Pedestrian Detection can help mitigate or avoid a potential collision. Automatic High Beams are able to automatically switch between high and low beams as required to always provide the ideal amount of light. As you drive, Dynamic Radar Cruise Control monitors vehicle-to-vehicle distance and can automatically adjust your speed. Lane Departure Alert with Steering Assist has been designed to detect lane departure on roads with clear markings. If you begin to stray outside of the lines, this system can provide subtle corrective steering inputs to help get you back in your lane. These are only a few of the advanced safety features found on the Toyota Corolla.